What is a DC Party Bus, Anyway? And What Goes on There? People who ask me about my DC party buses usually do so with a certain look in their eyes. It’s like they suspect my party bus is the setting for wild and crazy Roman toga parties, but also suspect I’m going to tell them There Are No Toga Parties. The truth is, what goes on in a DC party bus is both more and less than you probably think. First, let’s clear up what a DC party bus actually is. It’s also called a limo bus. It’s a long bus with room for standing and, sometimes, dancing. The limo buses in my DC fleet can hold either 22, 24, 25, or even up to 40 passengers. Though I don’t personally recommend cramming the party bus that full. You’ll have more room to party if the bus doesn’t feel like a sardine can. Now you’ve got a good idea of what a DC limo bus is like. Drinking is allowed, assuming everyone on the bus is of age, and champagne caddies are provided. You can stock a party bus with your own alcohol, or ask me to stock it for you (for a fee). Drugs are not allowed, and if I get the hint that any of that stuff is going on, I will turn that party bus right back around and tell your father. 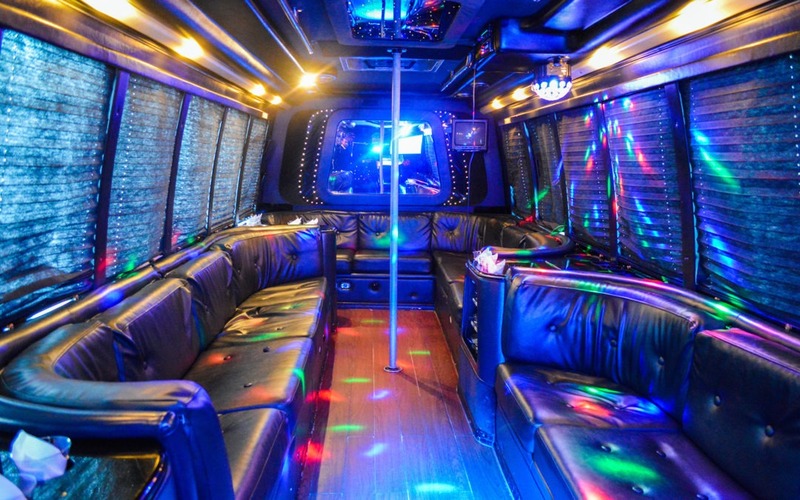 Who rents a DC Party Bus Service? 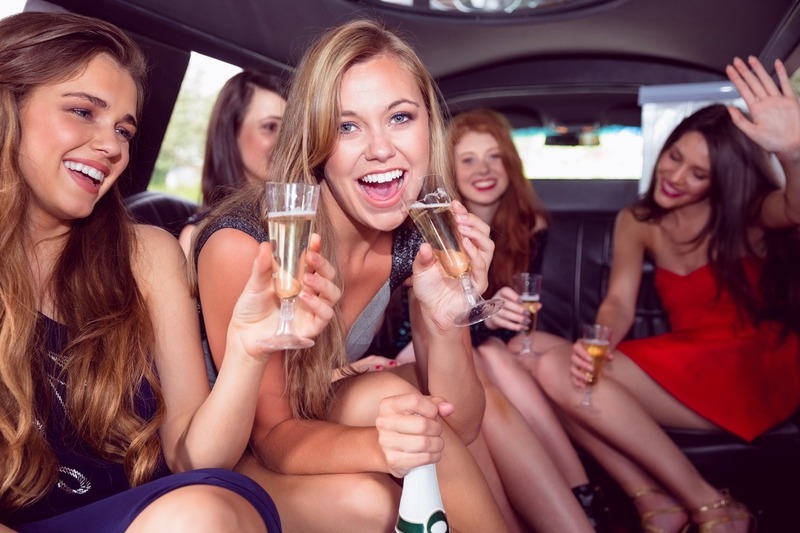 Bachelor and bachelorette parties rent limo buses, corporate groups rent them, family reunions, birthdays, prom parties, anniversary parties . . . you name the occasion, I’ve driven a party bus for it. 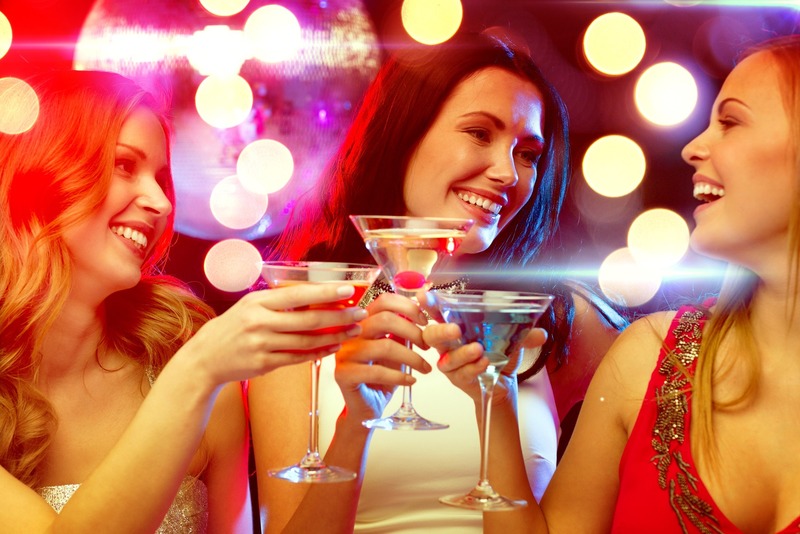 Some groups want to dance, and other groups just want to socialize and start the party before they get to their destination—like a bar or a club. Sometimes DC nightclubs have groups chauffeured to and from their clubs on party buses. And that’s the low-down on my DC limo buses. That the whole story . . . Your question involves strippers, doesn’t it? get it—it’s the dancing pole. And yes, we call it a “dancing pole.” It only becomes a “stripper pole” if there’s an exotic dancer on it. (Which sometimes, on rare occasions, does happen.) But usually it’s the partiers making jolly fools of themselves on the dance floor. They don’t even have to be drunk. They’re just having a good time on the party bus. Honestly, put a pole on the dance floor and nobody can stay away from it. Even the people who pretend they aren’t interested in the pole eye it with something like trepidation, and I can tell they want to try it. I like to say the pole encourages people to let loose and try new things. But it’s not automatically a stripper pole, okay? Get your mind out of the gutter! Now, that’s really and truly that! That’s the low-down on my DC party bus service. If you have any questions about it, just ask me. See those big phone numbers at the top right and left corners of your screen? Call me 800-942-6281 on those.